Welcome to the online home of Williams and Lamb, a family run business based in Wellington, Telford since 1968. 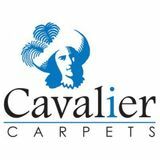 With vast experience offering a wide array of services, one of our team is always at hand to help – Whether you need a new carpet luxury floor covering, blinds or a new bed. Being established for over 45 years, Williams and Lamb have built a large number of repeat and loyal customers. We undertake commercial work as well as domestic work and welcome any enquiries for advice or a free quotation. Please feel free to view our website and find out more about our business – Don’t hesitate to get in touch.